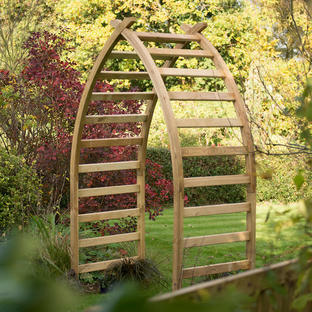 Give some extra gravitas and style to your garden entrance. 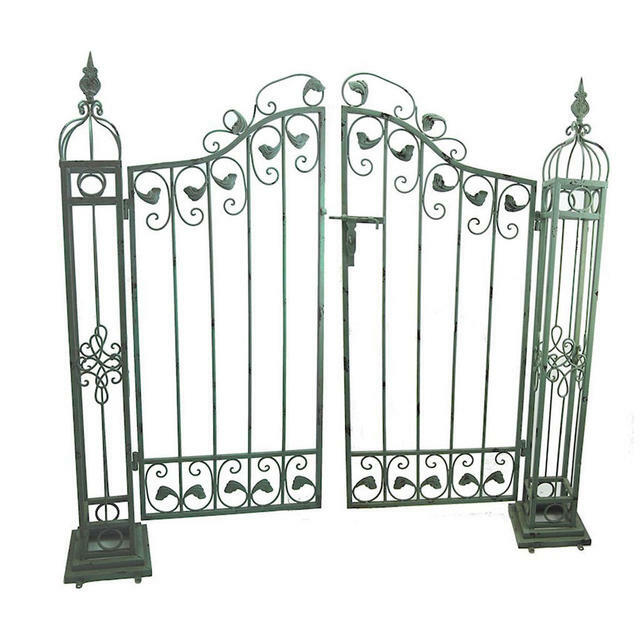 With a nod to French jardins and provence gardens, these delightful gates in distressed metal will make a charming entrance. 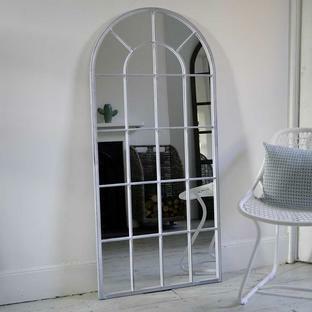 If you don't want to use them as a functional gate, then position them in your garden to create the idea of space using the gates to divide your garden in to small rooms. 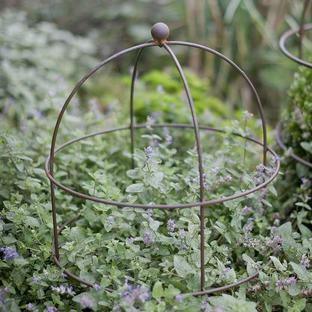 Or use them them a focal points or to create vistas or 'false entrances into your garden'. 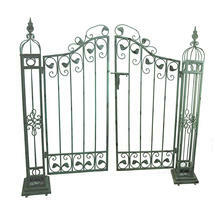 A pair of metal gates with distressed verdigris finish. The gates have a handle to close and open. The gate columns have 4 bolt holes on each corner of the base, which can be used to peg the gates down or allow for a more permanent fixing.